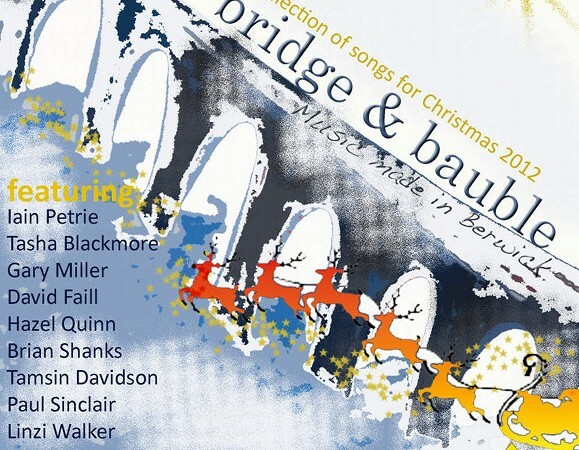 You may be aware that a couple of years ago we released the charity christmas CD ‘Bridge and Bauble’. Well, there are still a few copies left. All the proceeds go to the Berwick Youth Project. Yes, its not quite christmas yet – but the music is great – and it goes to a really good cause. Visit the shop for a copy. I managed to persuade 10 local acts to write and record an original christmas song. The CD was recorded and produced at breakneck speed over 3 weeks in November and on the shelves by December. I don’t think I’ve ever worked so hard in my life! However, the results are entirely worth it. Many thanks to all who contributed to the CD. Now, enjoy the teaser and go buy your loved ones a copy or 2!